Andy Murray, Roger Federer, Venus Williams – yes they’re most definitely tennis legends but did you know there’s a few champions among the crowds? Tennis legends are gracing the feet of the fashion forward supporters and we bet you didn’t even realise. So you’ve aced your tennis style while enjoying a few Pimms or two, scoffing a truck ton of strawberries and cream all while basking in the glorious sunshine that’s graced the courts of Wimbledon. But amongst the crowd you’ll find 3 of our favourites; Stan Smith, Rene Lacoste and Fred Perry, all of which sound familiar when you’re a massive trainer aficionado but did you know they’re more than just trainers. They’re the sporting legends that shaped the courts, winning trophies and setting records left, right and centre before becoming streetwear staples with the style elite. So who are they, we hear you ask? You may know Lacoste as the simple summer staple with endless versatility but this nifty little plimsoll derived from the legendary French tennis player, Jean René Lacoste’s passion for the sport as well as French elegance. Monsieur Lacoste’s globally known crocodile symbol was born from being nicknamed ‘The Alligator’ by an American Journalist, which was in reference to a bet he had with his coach over a crocodile suitcase. And Snap! The brand was brought to life, smashing the 1920s tennis scene out the park., which it has continued to do so today. 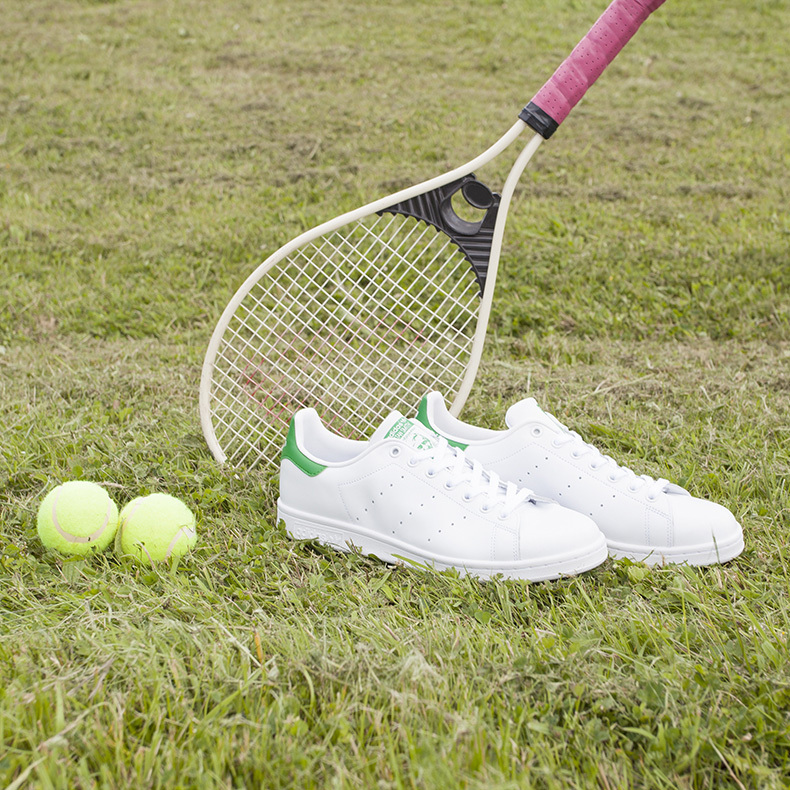 Most of you know Stan Smith as a clean white and green leather trainer made famous from the brand with the 3-Stripes. A smash hit among the street style elite, celebrities alike, and many of the fashion conscious but some people might not realise the history behind the populat tennis-inspired profile from adidas. Stanley R. Smith was once the world’s leading Grand Slam champion of the ’70s, successfully lifting trophies at both Wimbledon and the US Open. The calm, cool and collected sportsman might not necessarily be a fashion icon, although we’ll give it to him for that incredible moustache, was always spotted sporting the now famous white trainer. Most fans of the Stan Smith might not know of his legendary status but his reputation in fashion is completely timeless; with endless designs and colour palettes on offer. The adidas Stan Smith has be re-imagined time and time again and it’s a profile that will continue to make 3-Stripe history. Fred Perry; another brand with faithfully timeless silhouettes that we all know and love, but the British tennis legend Fred Perry was regarded as the best dressed player of his time and was considered one of the greatest male players of the game. Championing his career in tennis throughout the 1930s with his killer forehand, Perry also created the instantly recognisable polo shirt to come out of British clothing. It was the shirt that took Fred Perry from sportswear to what’s now a street style must-have that’s been adopted by many a culture throughout its years. The Laurel Wreath branding remains iconic with the fashion world today, especially within the footwear department. There you have it, a few legends lie among your footwear favourites. Fancy picking up something tennis-inspired while Wimbledon is in full flow – check out our full range of tennis shoes for men and women.